I made it out to the range this morning and went deeper into my project to shorten the barrel on my 24" Marlin 39A and record velocity changes while I did it. 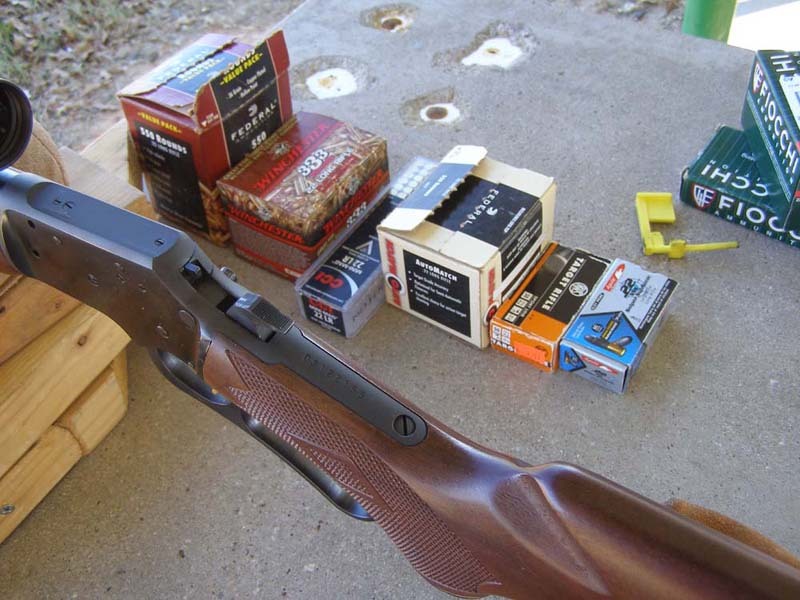 I initially did a testing using my .22s with various barrel length in an attempt to validate that optimum barrel length for a .22LR was between 16 and 18 inches. 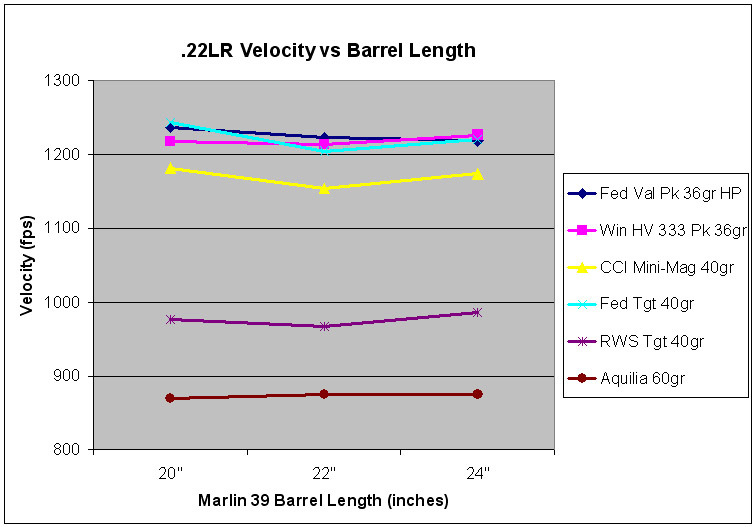 This test showed the 24" barrel on the Marlin had the highest velocities. However, differences between how the different barrels were manufactured could have resulted in an invalid assessment. During this second assessment, I took the Marlin and shorten it in 2" increments from 24" to 18". With all the velocities taken from the same barrel, I was expecting more valid results. Here are some pictures of the set-up. I used a variety of .22 Long Rifle ammo from super-sonic to sub-sonic. I initially was going to do 10 shots per type/box but I had only 2 hours to accomplish this task and choose to do 5 shots per type as I had done last time. Here is the ammo selection I used. 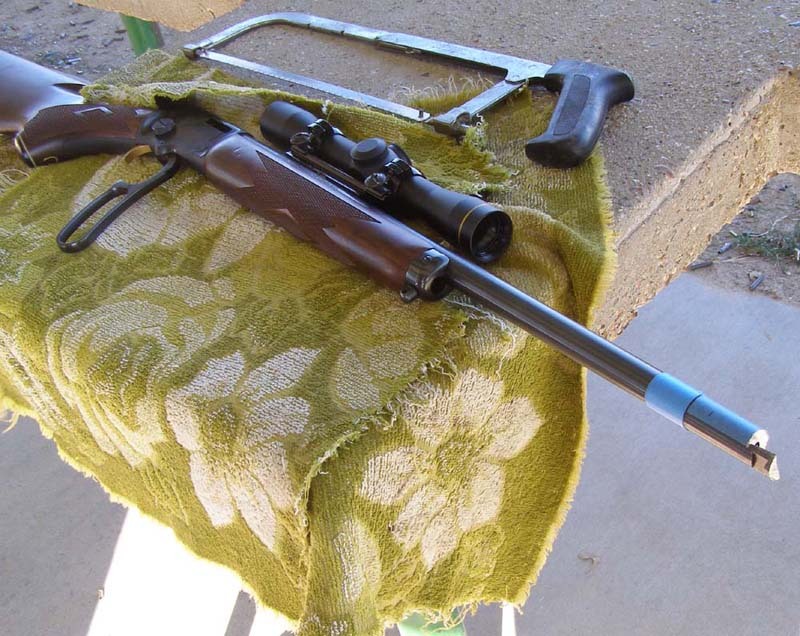 As I shortened the barrel, the balance of the rifle improved noticeably with each removal of a 2" section. I was planning to go down to 18.5" but at 20", the balance when I held the rifle around the receiver just behind the scope, started to shift aft. I also felt the aesthetics of the rifle looked about right so I stopped at 20”. I did notice that noise increased as the barrel was shortened. I certainly got a lot of attention while I used the hacksaw to shorten the barrel. Not something you see everyday at the range. Here are the velocity results. Not as compelling as I had hoped but data none the less. It shows I did not loose velocity shortening the barrel to 20". Here is the data table that generated the graph. Temperature today as 50 degrees F, about 25 degrees less than during the first assessment. I believe the drop in temperature resulted in lower velocities for the same 24" barrel with the same ammo. I will probably finish the barrel at 19.25" which was one of the standard lengths Marlin used on the 39, albeit rare. Good test and good info! Thanks! Thanks for the info, you did a great job testing. I have a Marlin 39a and I am happy with the 24" bbl and the accuracy. Yea, I'm still scratching my head a bit. Thought the results would be more clear cut. I'm not sure if 10-shot groupings would have made the results any clearer. Looking at the standard deviations, there is too much variation in the 5-shot groups (same ammo type) which could affect the results. The trend seems to be slightly faster with the hi-velocity ammo, and slightly slower with the sub-sonic ammo. I certainly got a lot of attention while I used the hacksaw to shorten the barrel. Not something you see everyday at the range. 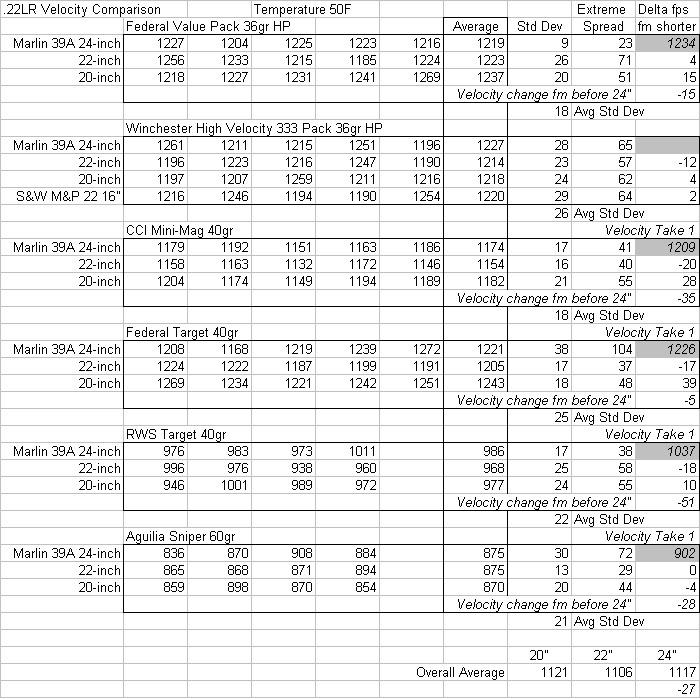 I interpret your results as there is a greater potential for higher velocity or at least not as much of a decrease as one would expect (using a wide range of available types of ammo) with the shorter barrel. Of course keeping in mind a particular brand or type may not fall within that norm. I think more data would have showed a clearer understanding. If you would have used 10-20 shots per each you could have used your standard deviation to throw out the extreme high and lows to get a core average. 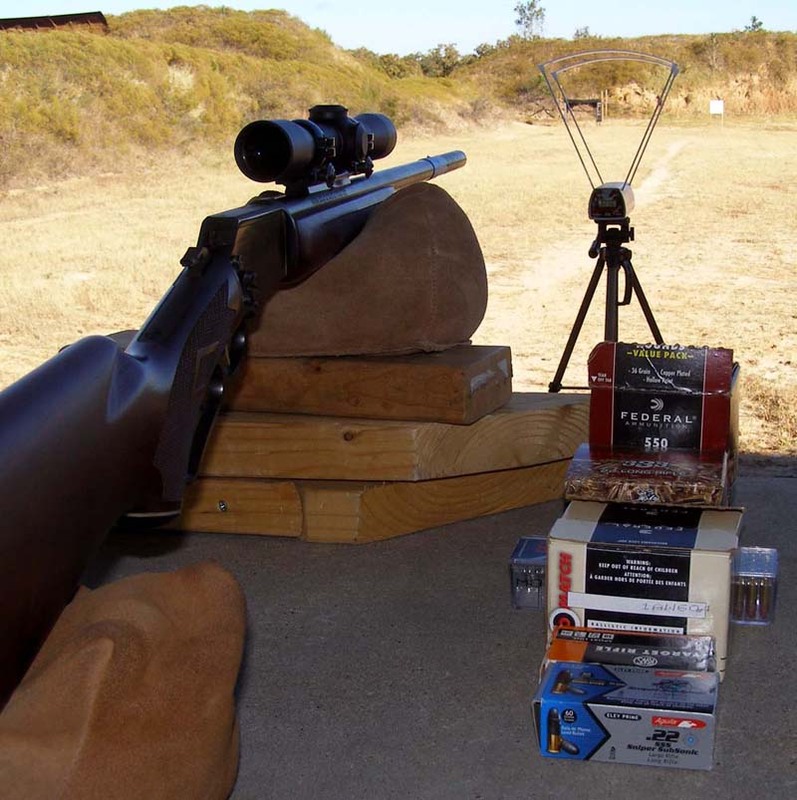 One of the biggest problems with rimfire ammo is it's consistency. I can see from your data that inconsistencies have obviously played a role in your findings. None the less I believe the project was a success and worthwhile !!! I interpret your results as there is a greater potential for higher velocity ... with the shorter barrel. If you would have used 10-20 shots per each you could have used your standard deviation to throw out the extreme high and lows to get a core average. I tried throwing out the high and low but with this small a sample it did not change the results. Even averaging all the rounds together for each length did not reflect a change to the original data analysis. As it was, I shot 88 rounds all single loaded. 20-shot would have taken most of the day, albeit, the data would have been better - that would have been close to 350 rounds. I believe the project was a success and worthwhile !!! Time has always been the factor for me too !!! I wish I could get someone to pay me for doing test such as this...........then I'd have all the time needed to do them right. mate I know how you feel about the hacksaw bit people sure do look at you funny. Ive sawn off one or two in my time and the results have always been good. great post thanks SlimJim. Slim, Thanks for the great experiment documentation. I enjoy this post and the previous one immensely. Dang! the price of barrels here in Aussieworld are prohibitive, otherwise it would be really great to do similar experiment. once the expansion of the gasses (read pressure) stabilized, thus resulting in higher velocity of some load in a shorter barrel. My take in this is that those loads with higher velocity on shorter barrels are using FASTER gunpowder. Naturally the faster the powder, the higher the initial velocity and pressure, and at the same time, the less the overall time peak driving pressure going to be. This resulted in a (readable) decrease in velocity due to the projectile have to overcame the friction over long barrel with its own momentum. These seems to be valid if the barrel diameter is "much" smaller (how much? I dont know) than the diameter of the projectile. Slim could you try and slug the barrels off the two experiments? My guess is the barrel on experiment 1 would be a tad larger than that of the experiment 2. Slim could you try and slug the barrels off the two experiments? My guess is the barrel on experiment 1 would be a tad larger than that of the experiment 2.
gelandangan, I'm a bit confused. With respect to the Marlin 39, it was the same barrel in both experiments. I can run a slug to determine bore diameter if you like but there is only one barrel to do that on.